If you’re a regular reader of my blog on children’s books, or even an infrequent one, you’d probably surmise that I read mostly recent children’s fiction, the ‘just published’ category. World Book Day books too lean towards the new and shiny authors, and most of the WHSmith stock is very contemporary (the exceptions being Roald Dahl and some Judy Blume). However, I don’t just blog about children’s books, but also work with education consultancies and school libraries, parents and carers, suggesting books for lots of different children, and so I always like to include ‘backlist’ and ‘classics’ on the list too. My blog is sometimes a place for publishers and publicists to show off their latest books (although don’t worry, there’s a filter, I only promote books I’ve read and enjoyed or see merit in). But I do worry that older books are being forgotten, or crowded out of the marketplace. It seems that I’m not alone in this. A recent hashtag appeared on Twitter, called #LostPrimaryBooks, against which teachers and others proclaimed their love for long lost and forgotten titles, which aren’t necessarily classics, but are much loved stories from when they were children. Some of them still have a relevant place in today’s classrooms, homes and libraries. (I will always have immense passion for Lois Duncan and SE Hinton books). Simon Smith also brought this to attention with his recent blog on book recommendation, in which he worried that we are too focussed on the next new thing. And probably not just in books, but in all walks of life. Although I’d never push Sweet Valley High on my children (unless they found the series themselves and wanted to read them), I do often include titles in my recommendations that weren’t published in the last five years. Because, even with my ‘fluent’ readers groups, I’ve noticed that classics, old stories, and even fairy tales aren’t being heard or absorbed. And this is troubling because without a background of fairy stories, folk tales, and even bible stories, passed down, we lose the ability to see ‘intertextuality’, to link and connect across cultures. Most of the children I talk to have never heard of those old Bible stories – Daniel and the Lion’s Den, David and Goliath, etc. Does it matter? Well, when the media reference a battle as being David and Goliath, or the football commentators say it, do our young people understand what they mean? And will these phrases and terms pass from the vernacular? And more importantly, when different cultures compare folk stories, we often see the same patterns, the same plot variations, the same use of imagination, the same fears and joys. And if these disappear, we lose common ground, we lose the ability to connect over shared explanations and ideas. These cultural folk tales, Bible stories, fairy stories, also give children a sense of their own history, and the ‘classics’ can give children a sense of literary history too. I was recently leading a book group of fluent readers on evacuee fiction. 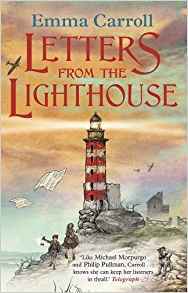 We discussed many recent examples – Wave Me Goodbye by Jacqueline Wilson, Letters from the Lighthouse by Emma Carroll, The Emergency Zoo by Miriam Halahmy. I also referenced Carrie’s War by Nina Bawden, Goodnight Mister Tom by Michelle Margorian, and When Hitler Stole Pink Rabbit by Judith Kerr. All titles kept in the school library, but only one child had read these latter three. But most fascinating was that I discovered the British Government’s plan to evacuate the children was called Operation Pied Piper. That made perfect sense to me – but sadly the group of children hadn’t come across this legend, and so didn’t understand my lightbulb moment. I hear the ‘Pollyanna’ effect as a phrase used in modern television and film dialogue quite frequently, and yet if one hasn’t heard of the book, it’s hard to know what the phrase means. And I recently made a reference on twitter to ‘Reader, I married him’ about reading Jane Eyre to my daughter, but it’s not a popular choice among today’s teens. True, not everyone will read or like the classics, but we shouldn’t lump them all in the past in a collective ‘boring’ or ‘exam only’ pile. Some reluctant readers could be as enthralled by Gatsby and Catcher in the Rye and The Lord of the Flies as I am – they’re pretty short too! For April Fools’ Day I decided to reference The Twits and the pranks they played upon each other. I started my session by making the assumption that the group of Year 1-4 would have heard the story before. I was vastly wrong. Most of them hadn’t. 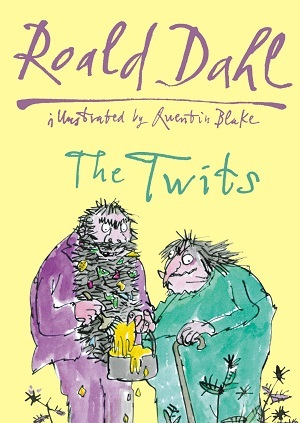 (This particular group of children came from fairly affluent backgrounds and most had box sets of Walliams on their shelves, so it was surprising to me that they hadn’t been read to, or read themselves, the classic Roald Dahl books). I’m not proposing we revisit the times of the Dahl Effect (in which primary school teachers only used well-worn texts as they had no knowledge of contemporary fiction), and yet perhaps it’s time to revisit some of the backlist of children’s books alongside the contemporary. Studying Journey to the River Sea published in 2001 with The Explorer published in 2017 is great for investigating intertextuality. I read What Lexie Did by Emma Shevah last week (just published) – a brilliant book about knowing when to lie and when to tell the truth, which could be compared to On the Way Home by Jill Murphy, Liar and Spy by Rebecca Stead, the classic folk tale The Boy Who Cried Wolf, or Cautionary Tales for children by Hilarie Belloc. When publishers re-issue old favourites such as 101 Dalmations with new illustrations – they present us with the perfect opportunity to revisit these texts. Many older titles stand the test of time wonderfully. 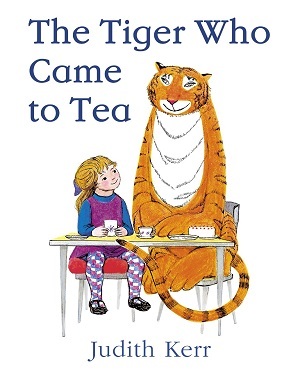 Classic picture books such as The Tiger Who Came to Tea by Judith Kerr has remained in the top 5,000 books sold every year since records began in 1998. And not only do some of these titles stand the test of time, and warrant reading by today’s sometimes attention-zapped youngsters, but some of them haven’t been much bettered in the message they are trying to convey. Some Dogs Do by Jez Alborough, published 2003, is one of my favourite picture books for impressing upon the reader the idea of believing in your dreams and not being bullied out of them. The Very Hungry Caterpillar by Eric Carle, published 1969, is still a brilliant introduction to the lifecycle of a butterfly. Corduroy by Don Freeman, published 1968, still stands the test of time as a great picture book about friendship, belonging and materialism. I know we look to modern books for certain representation that may not have been there in the past, but for feisty girls smashing the patriarchy, I always harp back to Mary in The Secret Garden – leading the way in fighting the adversity of her situation (parents dead, expectations demanded of her because of her gender) and yet railing against all expectations and freeing Colin from his misery. How about Jane Eyre, or the girls in The Wolves of Willoughby Chase, who foil the baddies with wit and guile? Becky Sharp from Vanity Fair? The Fossil Sisters from Ballet Shoes? I could go on and on. I never felt misrepresented as a determined girl, and also saw the changing face of gender expectations within historical contexts. In terms of diversity, modern books still aren’t cracking it yet, although things are starting to change – there still aren’t enough BAME protagonists, or Jewish characters. This minority group seem to feature in WW2 books occasionally, fighting back against the Nazis, but hardly ever in other time frames.